SypherPK was streaming Fortnite on Twitch when he was interrupted by his dog. As he wanted to show his viewers what his dog was doing on the ground, the unfortunate happened. 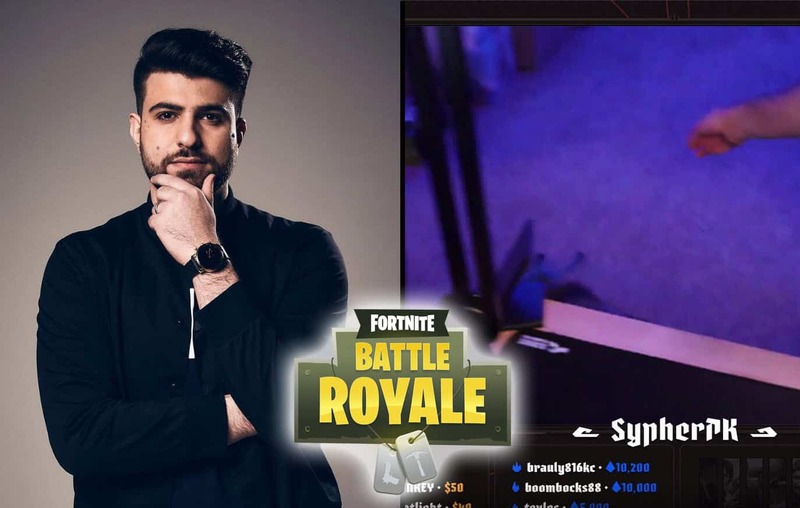 Ali Hassan, who goes by his gamer name “SypherPK” is a professional Fortnite player who is currently under the Luminosity Gaming organization. When SypherPK is not streaming on Twitch, he’s normally participating in a Fortnite Esports event. The last event he participated in was Gauntlet North America East playing with his teammate HighDistortion. More: What Is RUIN in Fortnite? SypherPK is up there with most kills as he’s top 15 in the world on PC for Global kills, and top 20 in the world on PC for Total kills. He has a massive following on all his social media channels and Twitch channel, totaling close to 6 million followers. If you want to learn some great Fortnite techiniqus then you should consider seeing some of SypherPK’s YT videos. He’s very informative and gives a lot of secrets away. During one of SypherPK’s Fortnite streams, he just finished playing a game when his pet dog jumped on him looking for some love. SypherPK then put his dog down and wanted to show his viewers more of his dog. As he reached for his camera, this happened. Sypher dropped his camera which seemed to break the transmission. 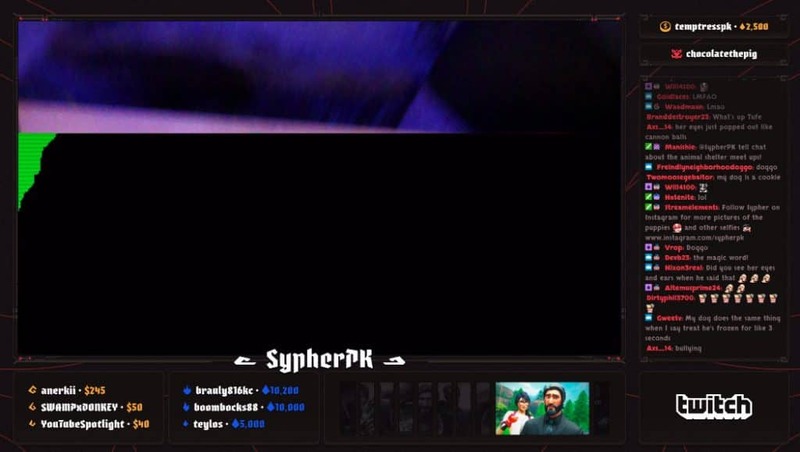 Although viewers were still able to hear Sypher talking, it seems like his camera was no more. One user in the chat instantly wrote what camera Sypher was using. 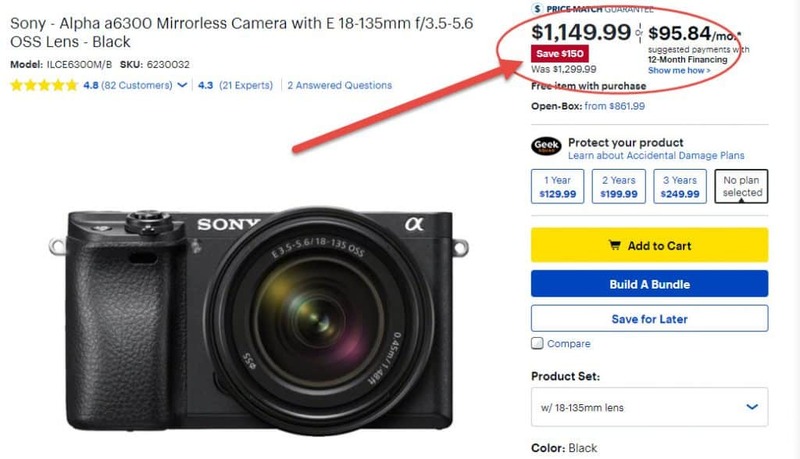 Although there’s no way to verify if this was the camera, the user said it was a Sony – Alpha a6300 Mirrorless Camera with E 18-135mm f/3.5-5.6 OSS Lens. If that’s true, it’s currently a $1200 camera, an expensive one at that. It wasn’t a laughing matter as many users in the chat were typing “OMG“. If his camera did cost that much, it’s definitely a tough pill to swollow knowing that the stream is not operating now. What will SypherPK do in the meantime? Will he just get a new camera or try to repair this one? One things for sure, his Fortnite playing won’t be disrupted. But his fans will have to wait till he comes back to the screen.